No mere flight of fancy, your Christmas or winter events have required detailed planning. 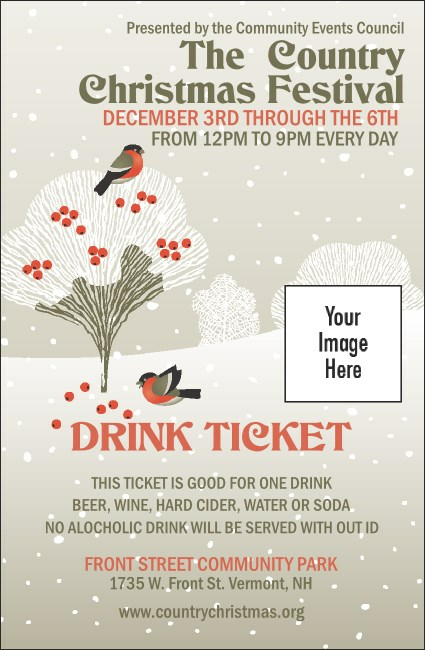 Illustrate your attention to detail with this cozy Winter Bird Drink Ticket. Two red-breasted birds cavort among snow-covered trees, still bearing red berries, as gentle flurries drift down from the skies around them. Let the winter festivities take wing with TicketPrinting.com.